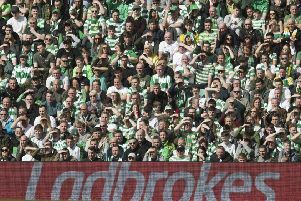 The relegation battle from the Ladbrokes Championship is a tense, nervy but exciting affair with six team involved. 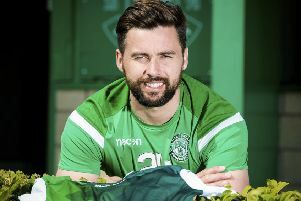 Andy Harrown looks at those involved as the league enters its penultimate weekend. 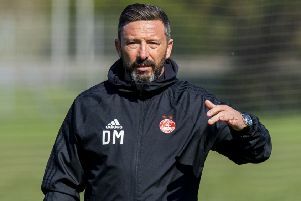 Derek McInnes has reacted to Steven Gerrard’s claim that Aberdeen try harder against Rangers than they do against Celtic, telling the Ibrox boss not to flatter himself. 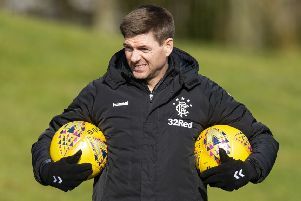 Rangers boss Steven Gerrard has revealed that he is currently targeting players whose contracts expire at the end of the season. 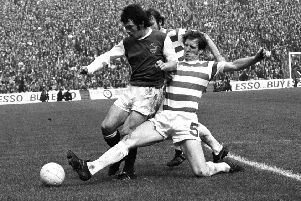 As he shed tears for Billy McNeill this week, Neil Lennon was also able to reflect anew on the enormity of the shoulders he stands upon in Celtic’s history. 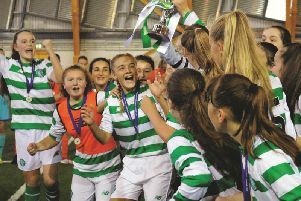 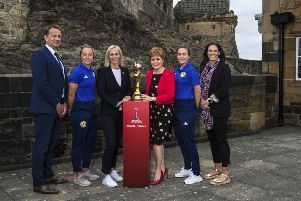 Julie Fleeting is not surprised that Shelley Kerr has taken Scotland’s women’s national team to their first-ever World Cup and she knows from personal experience just how determined her former team-mate will be to ensure the squad makes an impact in France this summer. 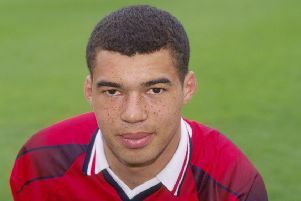 As a centre-half, there’s one way to avoid an inevitably bruising tussle with Hearts centre forward Uche Ikpeazu – join the same team as him. 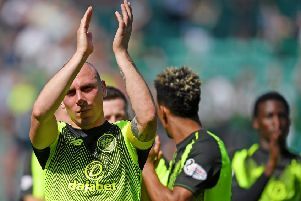 Celtic interim manager Neil Lennon has prepared for the possibility of captain Scott Brown missing tomorrow’s Premiership match against Kilmarnock but insists he will still be taken aback if the midfielder receives a ban from the Scottish FA. 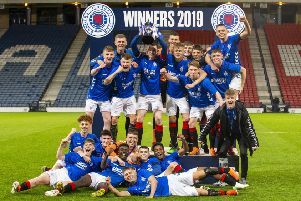 Former Chelsea kid Nathan Young-Coombes outshone Celtic’s much-hyped Karamoko Dembele by scoring the winner for Rangers in a 3-2 Scottish Youth Cup Final success at Hampden. 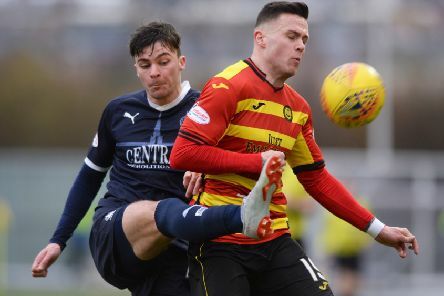 Former Aberdeen forward Malcolm Kpedekpo is aiming to use his experience from the worlds of football and business to help shape the direction of the national game after he joined the Scottish FA board as an independent non-executive director. 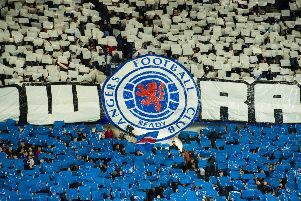 Former Rangers loanee Kevin Mbabu will join Wolfsburg for £8 million in the summer after agreeing a pre-contract with the Bundesliga side. 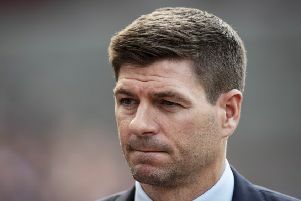 Leaked images claiming to show Rangers new home, away and third kits for the 2019/20 campaign have appeared on social media. 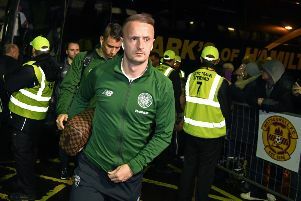 Leigh Griffiths could yet make a return to action before the end of the season, according to Celtic interim boss Neil Lennon. 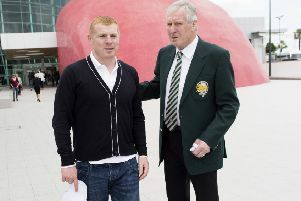 Celtic should retire the number 5 shirt in tribute to Lisbon Lions captain Billy McNeill, Neil Lennon has said. 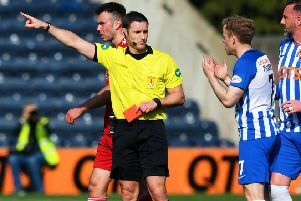 Kilmarnock have achieved partial success in challenging two of their three red cards against Aberdeen. 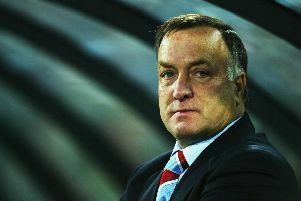 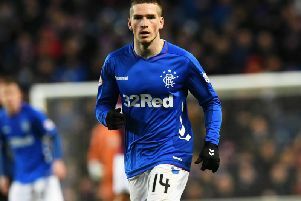 The owner of Scottish Professional Football League title sponsor Ladbrokes has called for a blanket ban on all gambling advertising in UK sport.